Many testimonials from magnesium oil and flake users throughout the world exist and we will make you aware of some of these. Furthermore chat rooms and blogs are common that deal with the subject of magnesium deficiency and the experiences of using magnesium oil and/or flake. We ourselves have and will continue to seek out specific individuals with problems, issues or complaints and provide them with samples of our product. We are receiving considerable feedback and have asked if the results can be published under their name and picture. We will be publishing these testimonials and information on their experiences for your information. As this is an ongoing activity, we will regularly add to these over the coming months and years. I had very bad joint pains in my ankles and walking was sometimes painful. I have used the Zechmag salt flakes in a footbath twice a week in the beginning and now spray the Zechmag oil on my ankles almost daily. It relieves the pain. During the summer, I also sprayed the Zechmag oils on mosquito bites and found immediate relief and very quick healing. 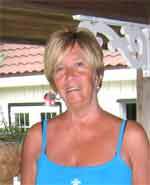 I have also introduced other people to transdermal application of magnesium supplementation, as this seems to be the way to go. 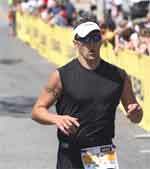 I am a triathlon athlete and train intensively for races held locally, throughout the country, in the US and overseas. I was introduced to transdermally applied Zechmag magnesium about 6 months ago and now am using it regularly. 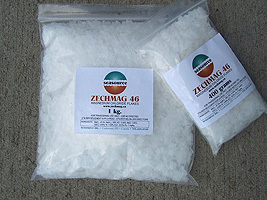 After a strenuous training session and/or a race, I generally take a Zechmag magnesium bath using the full 1 kg of Zechmag salt flakes in my bathtub. It seems to rejuvenate my muscles much faster and I feel better conditioned afterwards. I also use the Zechmag magnesium oil for topical applications when I have muscle or joint pains. It really seems to improve my competitive readiness and definitely makes the pains bearable and I recuperate much faster. I was really skeptical at the beginning and used the Zechmag oil sparingly. Then I was talked into taking a full Zechmag magnesium bath in the evening just before going to bed and that convinced me. I had the best sleep ever and awoke the next morning completely relaxed. I really enjoyed that and now will take a Zechmag magnesium bath about once every 2 weeks. I also have a bottle of the Zechmag magnesium oil and use this when I have sore muscles. When I have worked behind the computer, my shoulders start to ache and I will ask my husband to spray the Zechmag oil on and rub it in and I have almost instant relief. I am now really convinced of its value. While vacationing in Canada, I was introduced to transdermal applied magnesium chloride. I was told that the Zechmag magnesium comes from a mine very close to where I live. I have psoriasis between my toes, which has bothered me for many years. I tried the Zechmag magnesium oil on it in the evening before going to bed. It was greatly improved in a few days and stopped the itching completely. I will be looking for this type of oil in the Netherlands. As many marathon runners do, I also experience considerable muscle pain in my legs in the latter part of the race. With the use of Zechmag magnesium oil my muscles rejuvenate themselves much quicker and it seems that while the pain is still there, it is much less. I will continue to use it and condition my body to accept it and apply it. It will improve my overall condition and therefore my performance. My work in the auto shop has been really hard on my knees and had resigned myself that I had to live with this the rest of my life. 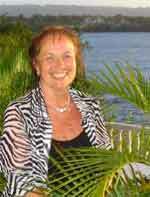 I was made aware of Zechmag Magnesium Oil through one of my customers and was initially skeptical. There was nothing to loose in trying and to my surprise it worked. I do not know how, but it gives me complete relief. I now use the oil regularly.